NEWPORT BEACH— Tom Pollack, CEO of ExplorOcean, has a wide-eyed, yet realistic vision when it comes to proposed modifications to the educational facility. Bolstered by a campaign to completely overhaul the center, Pollack and his staff have a goal of becoming the country’s foremost experiential ocean literacy facility. With an Ocean Literacy Academy that focuses on K-12 programs founded in science, technology, engineering, arts and math already in place, the nonprofit has ambitious plans to improve the facility. Among suggested upgrades are the addition of a pair of experiential movie theaters, an 18,000-square-foot community meeting center, the nation’s only deep dive submarine simulator, add-ons to the historic Fun Zone and an expansive event deck for harbor views and entertainment. When complete, ExplorOcean will reportedly serve more than 150,000 students. Pollack’s crown jewel within the design process is his floating classroom and lab. The 7,000-square-foot learning vessel will serve all of Southern California, including children from at-risk communities. On-board students will practice skills in science, technology, engineering and math, Pollack said. With plans to depart from Newport Beach to Catalina Island for camp visits, students will stop over at the USC Wrigley Marine Science Center and work closely with scientists. Pollack said he plans to have lights installed under the vessel, which will attract sea creatures at night. He added that the goal is to have it completed within 5 years from the start of construction, allowing time for approval from the city, the California Coastal Commission and other required entities. Pollack said the project will likely be financed through philanthropists. He added that the project has already garnered seven figures from anonymous donors. 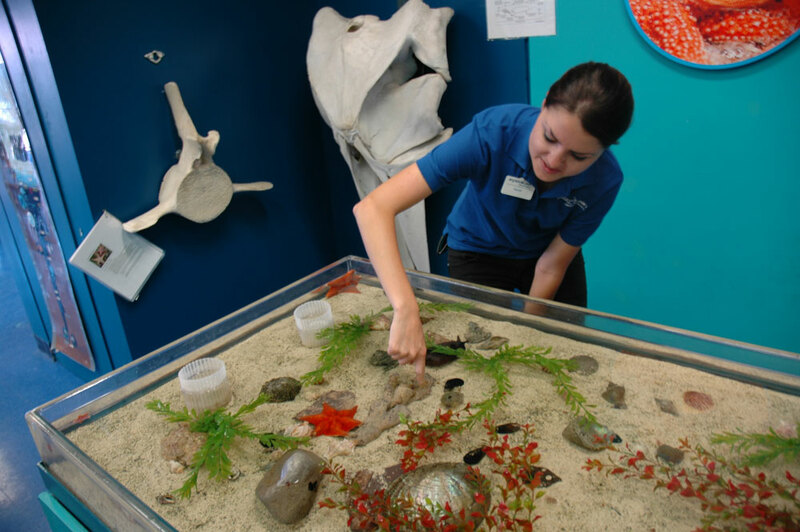 But for now, the hands-on, science-based center, established in 1986, remains elevated on a 33,500-square-foot piece of land, providing invaluable learning activities geared around the seven principles of ocean literacy. The facility offers single- and multi-day camps, after-school classes, school field trips and monthly lectures and seminars to attract attendees. The ExplorOcean center also includes an additional 25,000 square feet of commercial marina, complete with the Fun Zone boardwalk area and ocean-themed rides. With a mission to think critically about the ocean and to comprehend the sea’s impact on the world, the facility provides inexpensive $5 field trips to underprivileged children throughout Orange County and Southern California. Wendy Marshall, ExplorOcean’s director of education, said the organization’s instructors pride themselves on teaching children to become innovators, risk takers and problem solvers.